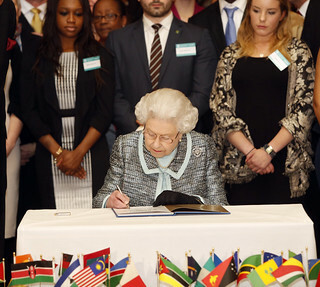 It is a commitment to its shared values and principles that unites the Commonwealth. The Charter brings these together as a defining document for an inclusive and accountable. It was signed by the Queen at Marlborough House in 2013.